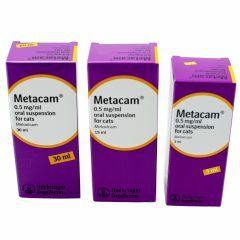 Metacam 1.5mg/ml Oral Suspension is used to relieve inflammation and pain in dogs. 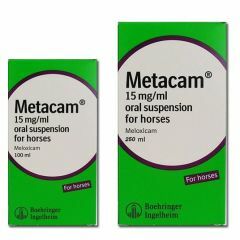 Metacam can be used for chronic (long-term) musculoskeletal disorders, and acute (sudden and short-lived) musculoskeletal disorders, for instance, due to injury. 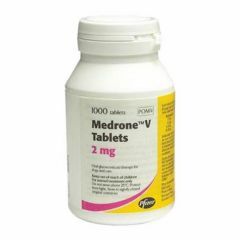 Medrone V Tablets can be used to initiate anti-flammatory treatment. 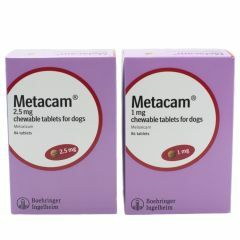 Metacam Chewable Tablets are used to relieve inflammation and pain in dogs. 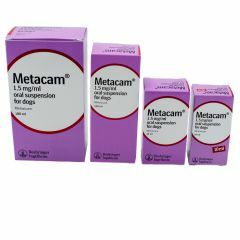 Metacam can be used for chronic (long-term) musculoskeletal disorders, and acute (sudden and short-lived) musculoskeletal disorders, for instance, due to injury. 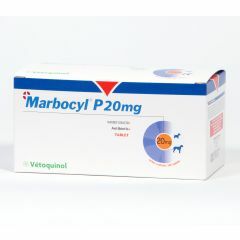 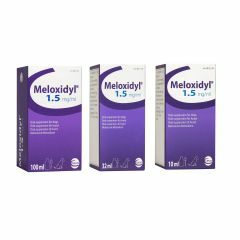 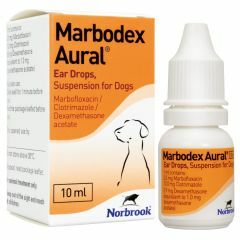 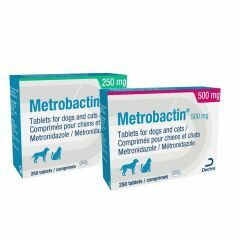 Metrobactin Tablets for dogs and cats are an antibiotic containing the active ingredient Metronidazole. 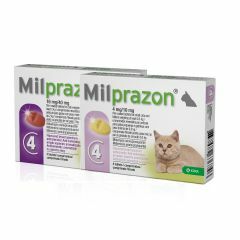 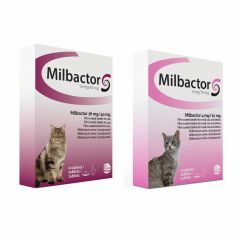 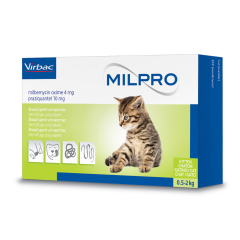 Milpro broad spectrum worming tablets for kittens and small cats are palatable tablets that offer protection against most types of intestinal worms commonly found in cats. 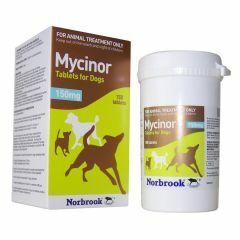 Mycinor Tablets for Dogs are used for the treatment of infected wounds and abscesses, and infected mouth cavity and dental infections, caused by or associated with bacteria susceptible to the active ingredient. 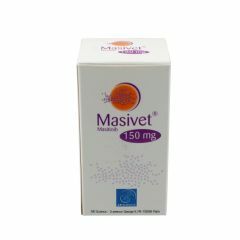 Masivet is a cancer treatment for dogs specifically canine mast cell tumour (cancer). 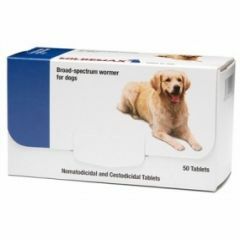 Masivet allows you to treat your dog for cancer at home. 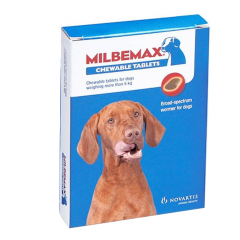 Milbemax Chewable Tablets for Dogs are used for the treatment of tapeworm and roundworm infections and in the prevention of heartworm disease in dogs weighing over 5kg. 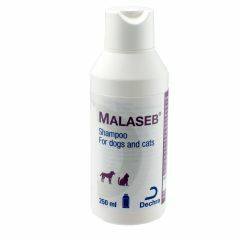 Malaseb Shampoo is an antibacterial and antifungal shampoo for cats and dogs. 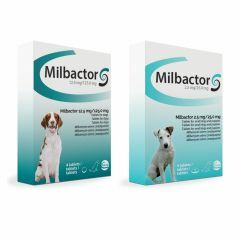 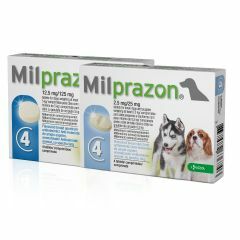 Milbemax Tablets for dogs are indicated for the control of roundworms, tapeworms, whipworms, hookworms, lungworm as well as the prevention of heartworm in dogs.